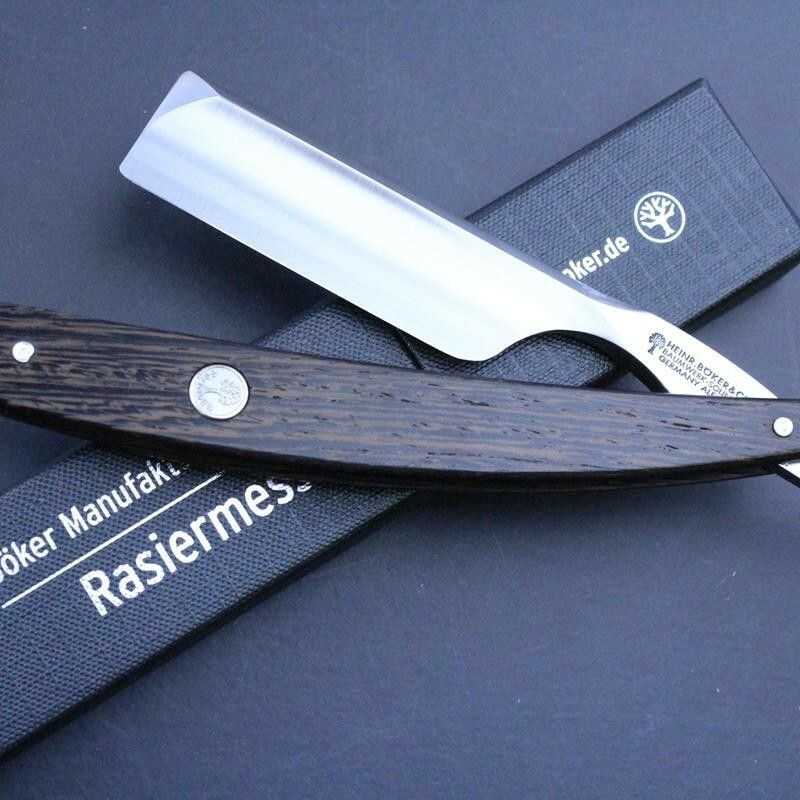 This razor, new from Boker, has a carbon, satin finish blade, described as being 6/8 wide but is actually almost a 7/8 when measured from the top of the spine. 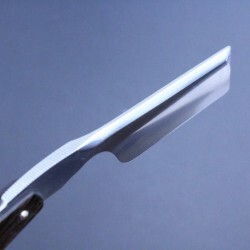 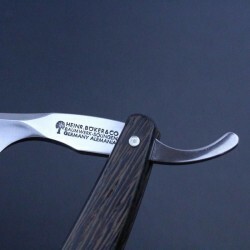 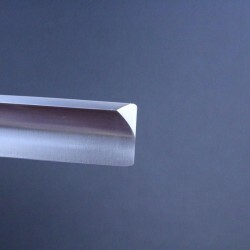 The blade has a square point which cuts away to the plain spine. 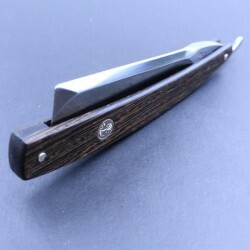 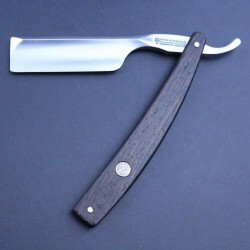 This contemporary looking razor is finished with stunning wood scales made from wenge wood, a hard African wood known for its robust properties and which has an interesting striped grain finish not dissimilar to bocote. 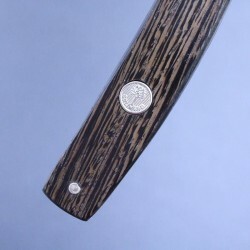 The scales are finished with an inlaid silver coloured motif featuring the Boker tree.